A Hard Day’s Night turns 50 this Sunday, July 6th. To celebrate the anniversary, a remastered version of A Hard Day’s Night is being released, with the approval of director Richard Lester and sound producer Giles Martin. Described by Ringo Starr in PHOTOGRAPH as ‘really far out,’ The Beatles’ film debut was captured on camera by Astrid Kichherr and Max Scheler. With intimate access to the band, Astrid and Max uniquely document the making of A Hard Day’s Night. 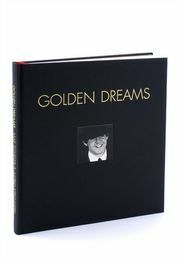 They share their photographs and memories in GOLDEN DREAMS, which is available to order now.